Ewebtonic are a reputable Joomla Web Development Company in Patna and specializing in working on the Joomla framework. The Joomla development is hermetically responsive & possesses the trait of security, safety & confidentiality that is excavated to be maintained having contemporary recognitions. The communities are stretched out timely & incessantly that keep on expanding & flourishing at a pace presenting a varied requirement of Joomla that is incessantly being downloaded over several numbers at an auto-generated mode. Growing customer base & the retention of existing customers in account to the enhancing rate of it continuously is being carried out that aid in the achievement of pinnacles by Joomla. Due to its wide comprehensive authority & stretched out aspects having comfortable & flexible set-up with customer's consent notes, it is considered as the vital component service having multilingual top quality result oriented approach & committed outcomes. The integration & association of clientele's websites with the interactive responsive ecommerce websites in regard to the shopping cart techno savvy tools & techniques are put into practice without any deviation or without any fail. We believe on the aspects & perspectives of clarity, trust, affordability, measurability, customer's budget, on time feedback with high grade interactive skills & many more. The as declared committed results need to be attained timely along with the customer contentment having increased clientele base & retention rate. The trait of scalability is also a part of it that ought to have no technical complacencies. The detailed structural framework is made before the start-up or proceedings in order to nullify the problems retrieval rate during the process of project. 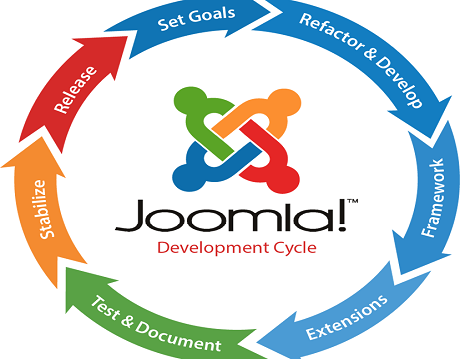 Our PHP experts are proficient in providing Joomla development services. No matter, where you are located, we would work in coordination with our clients and provides Joomla solutions at affordable rates. We make you love Joomla as like we do!